Our favourite burger, pizza and meat pie may need a re-think after new research by CSIRO shows Australians are not eating the right types, or the right quantity of protein for healthy weight loss. The analysis from the CSIRO Healthy Diet Score survey, Australia’s largest nutrition study of almost 200,000 adults, showed people with low-quality diets obtained eight times more of their protein from junk foods than people with high-quality diets – and were more than three times as likely to be obese. “Everyone’s protein needs are different, and not all foods that contain protein are good for you,” CSIRO Principal Research Scientist Professor Manny Noakes said. 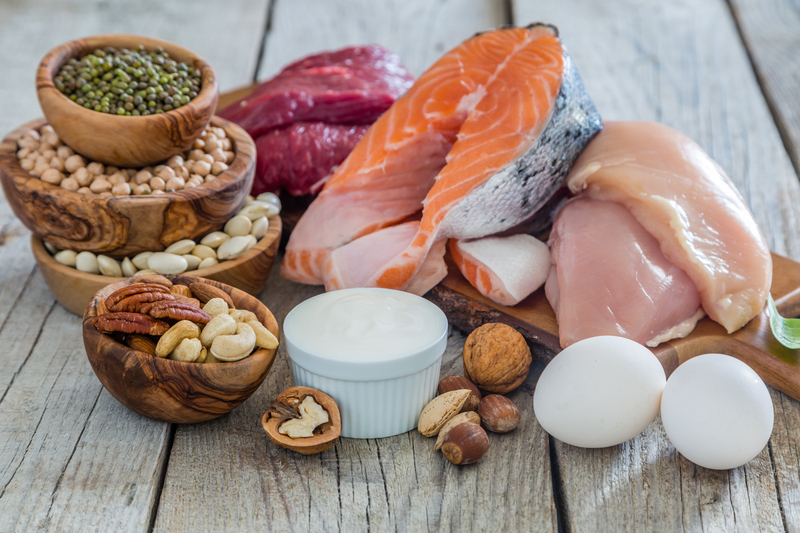 “The current recommendations for protein intake underestimate protein requirements during weight loss – the latest science suggests eating 1.2-1.6 grams per kilogram of bodyweight for optimal weight loss. “Often a relatively low figure of suggested protein intake is quoted for an average weight man or woman. However, most Australians are far from average with more than 60 per cent of us being overweight or obese. CSIRO has developed a new free personalised protein calculator to provide a tailored estimate of how much protein and the types of protein needed to support healthy weight loss. “As science advances, we are seeing the benefits of taking a more personalised approach to health and nutrition,” Professor Noakes said. The new analysis showed that junk foods, such as pies, burgers, pizza with processed meats, chicken nuggets, sausages, cakes, ice cream and biscuits, were the second highest contributor to protein intake for people with low diet scores. In contrast, leaner people who tended to have higher-quality diets ate protein sourced from healthier whole foods, including chicken, red meat, fish, eggs, milk, cereals, nuts and yoghurt, and junk food only accounted for approximately three per cent of their total protein intake. “Higher protein healthy meals help to control appetite and can help to reduce the urge to indulge in junk food,” Professor Noakes said. The new personal protein calculator is free and available on the CSIRO Total Wellbeing Diet website at www.totalwellbeingdiet.com . Using your weight, it recommends the amount and types of protein you should be eating in a day to support healthy weight loss, and recommendations for how the daily amount should be divided across each meal. A CSIRO review of the latest scientific evidence in January found support for the recommendation to eat at least 25 grams of protein at each main meal to help control hunger and enhance muscle metabolism. To learn more about how much protein you should be eating for your body weight, visit www.totalwellbeingdiet.com to use the healthy protein for weight loss calculator.